LG Electronics has just announced the availability of their (presumably) flagship model in South Korea – the LG Optimus LTE II, and what makes this particular smartphone from LG special would be the crowning achievement of yet another first, being the first smartphone in the world that delivers 2GB of RAM for optimal LTE connectivity, speed and stability, all rolled into a single device. Folks living in South Korea will be able to get their hands on the LG Optimus LTE II from this week onwards. Just why does the LG Optimus LTE II require 2GB RAM? The more the merrier, I say, and this amount of RAM will deliver an optimal environment for multitasking and enhance the capability of a smartphone to run large applications. It is hard to imagine that computers not too long ago came with 2GB RAM for the top end models, and here we are with a modern day smartphone featuring something of the equivalent instead. 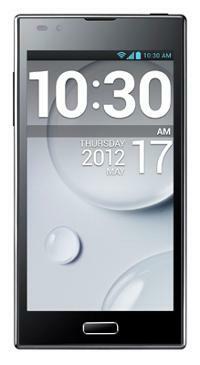 Other hardware specifications of the LG Optimus LTE II include a rather impressive 4.7-inch True HD IPS display alongside a brightness level of 550 nits, not to mention a resolution count of 1280 x 720 pixels that ought to do its bit to impress your eyes. Not only that, the dual-core Qualcomm one-chip solution will also incorporate both the LTE modem and Application Processor (AP) for added power efficiency, so much so that the battery will be drained slower than before with the same amount of usage. Apart from that, the LG Optimus LTE II will also sport a removable 2,150mAh battery which is touted to be the largest currently available on a LTE smartphone in the 4- to 5-inch display category. If you are too lazy to carry around a dedicated digital camera with you, then the LG Optimus LTE II will be able to function as an able replacement of sorts, where it has an 8-megapixel shooter at the back, while the front features a 1.3-megapixel shooter for video calls. No idea on when the LG Optimus LTE II will arrive outside of South Korea though, so keep your fingers crossed! cool gadget with a 2G ram, design look alike galaxy s2..